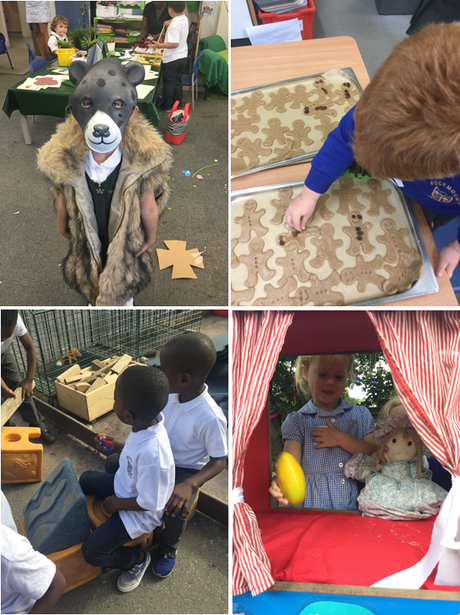 The start of the year for Reception has been an enjoyable and exciting one. All children have settled in well to their new surroundings and have begun to make new friendships and form positive relationships with the adults. We have begun learning traditional tales and story language through our topic, 'The Wonderful World of Fairy Tales'. We have been acting out the stories and using our indoor and outdoor role play areas. 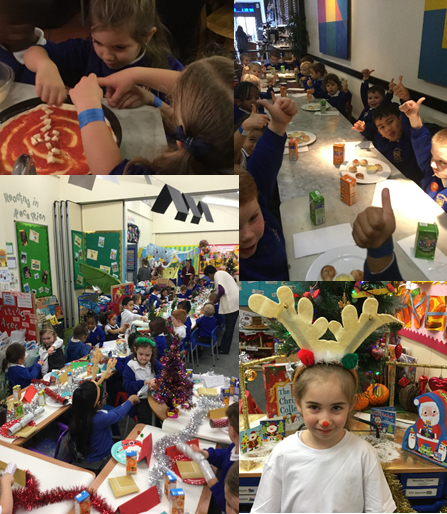 During Autumn 2's topic, 'Food and Festivals', we visited Pizza at the Palace and made some delicious pizzas, learnt all about the Hindu festival of Diwali and got stuck into Christmas! During Spring one, we will be learning about 'Heroes and Villains'. Throughout the topic, we will discover more about the heroes in our local community such as the police, fire brigade and doctors and nurses. Alongside this, supported by stories such as 'Eliot the Midnight Superhero' by Anne Cottringer, we will write imaginative stories about our very own superheroes and learn about different super powers. Take a look below. 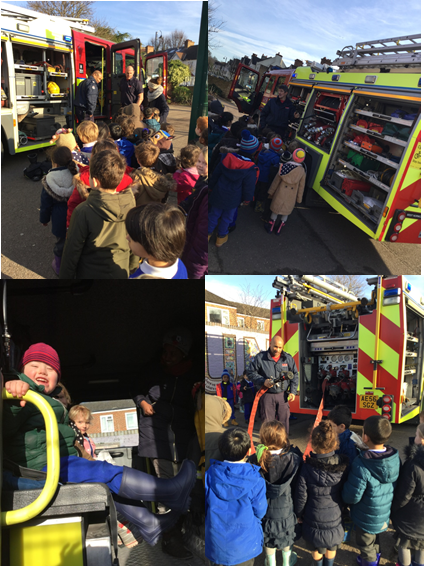 The London Fire Brigade from West Norwood fire station came to see us yesterday! 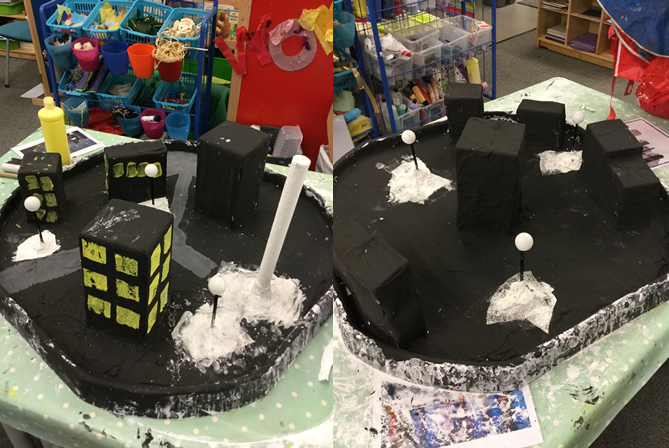 We have been making 'Superhero Cities' using Mod Roc. Here are some pictures of them nearly finished. We will add some more pictures when they are done and we are using them in our Small World play. 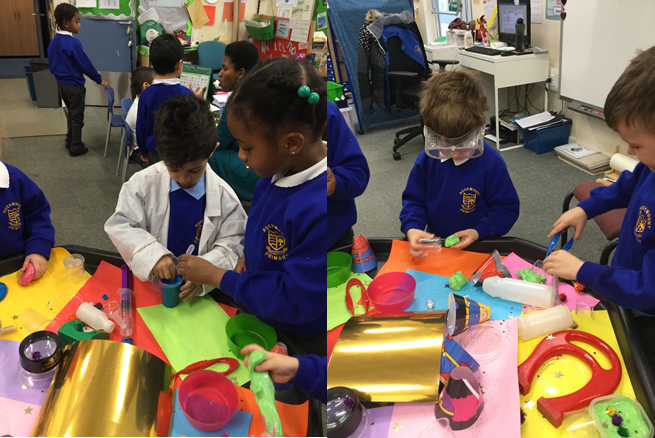 This week we have been experimenting with 'Super Slime'. We made it using Aldi's 'almat non-bio gel', PVA glue and food colouring. This week we have been learning about Chinese New Year. Chinese New Year’s Day was on January 28th and it is the Year of the Rooster. We have been discussing the celebrations that happen over the 15 days and the food people eat. 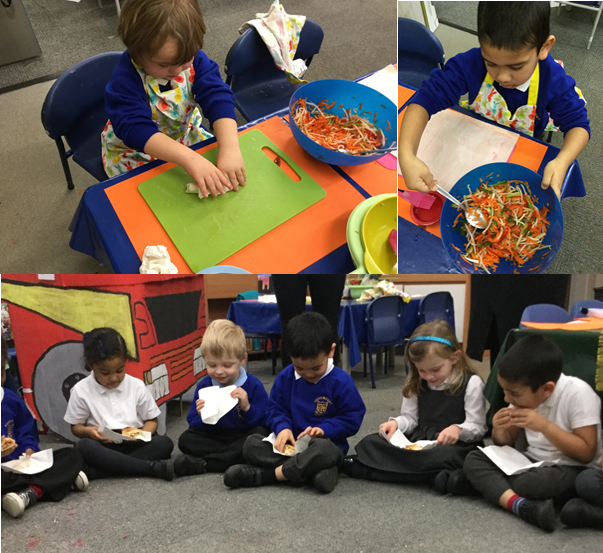 We made some baked vegetable spring rolls. We LOVED them! 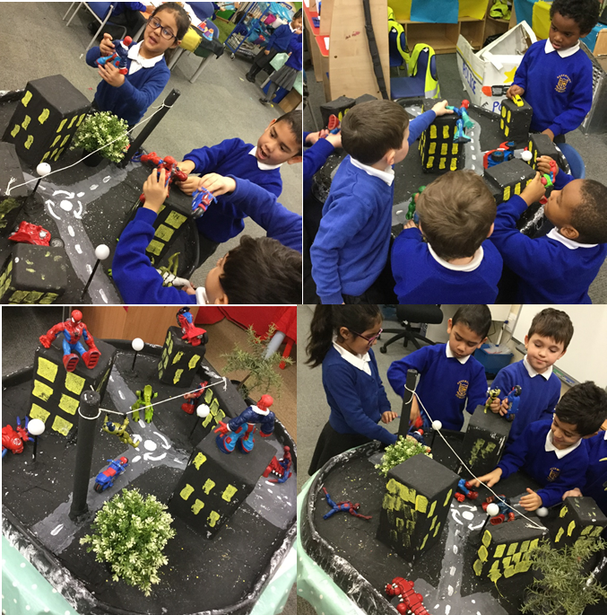 We have loved using our completed ‘Mod Roc’ Superhero Cities in our small world play this week. Spider-Man has been helping save the day from some evil, bad guys! Reception have been reading ‘George Saves The World By Lunchtime’ by Jo Readman. We have been trying to help save the world too by thinking about, reusing, reducing, recycling and repairing. We have been sorting materials and food waste into the correct places to help save our precious planet. 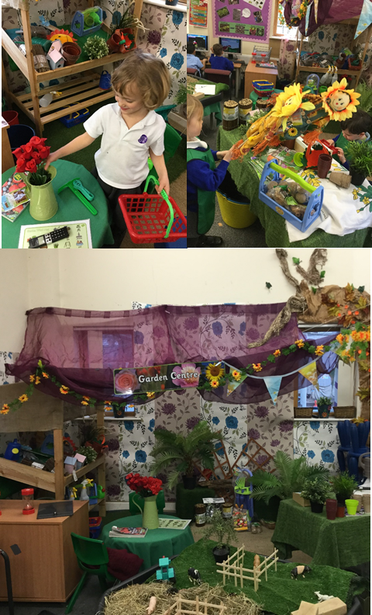 We have been enjoying our Spring 2 role-play areas. 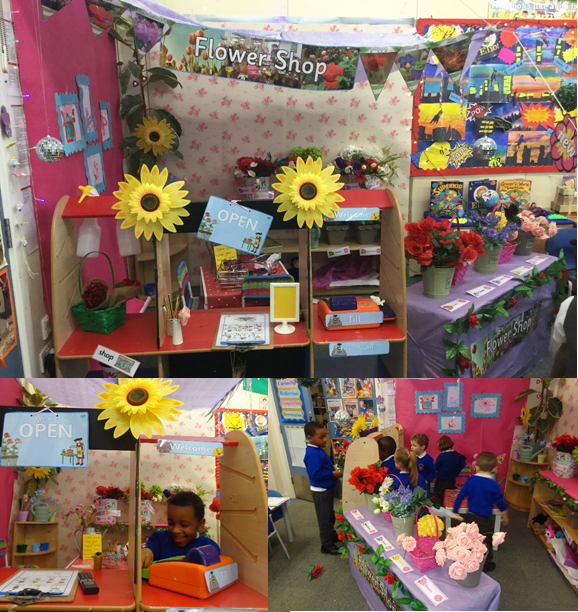 This half term we have a Florist and a Garden Centre. We have been making up lovely bouquets and buying many seeds to plant! 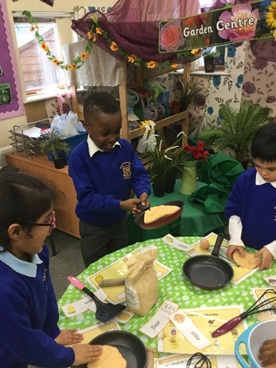 We have made some playdough pancakes and have been practising flipping them! What is your favourite topping? Reception visited our on-site pond to see the frogs that are thriving there. 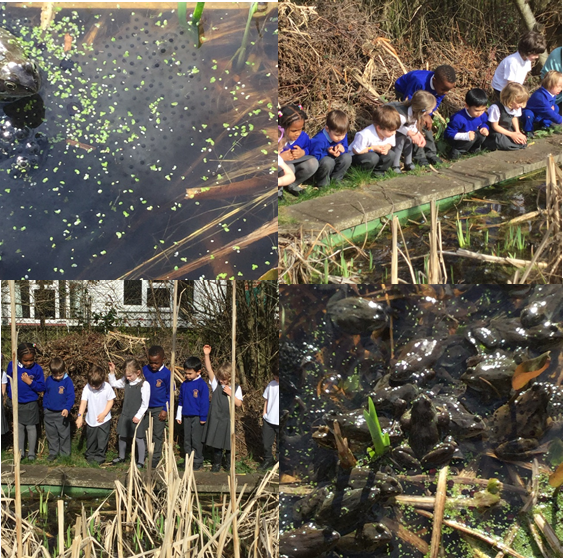 We found many frogs and saw lots of frogspawn! 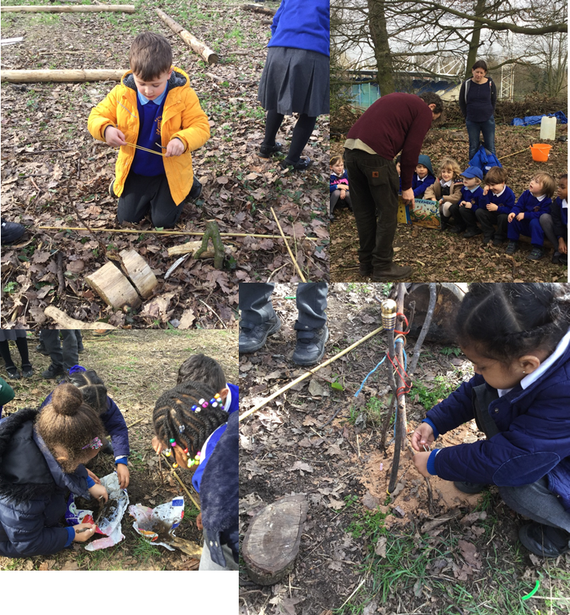 Last week, Reception went to Crystal Palace Park and took part in some outdoor adventure learning with Hugh from Wide Horizons. We had read the book ‘Superworm’ by Julia Donaldson when we were learning about minibeasts. We used natural resources found in the paddock as well some recycled plastic and rubber bands to make ‘Superworm Wonderlands’. We made things like slides, swings, swimming pools and football pitches for the minibeasts in the story. We really enjoyed ourselves- thanks Hugh! During Summer 1 we will be learning all about animals. We will look at habitats all over the world and the animals that live in them from farms to forests and ponds to oceans! The children have been enjoying playing in the role play areas pretending to be vets or jungle explorers. We had a great time at Godstone Farm last week. Luckily the rain held out and we had a fun, factual day learning about farm animals. We even had some time to use the adventure area!